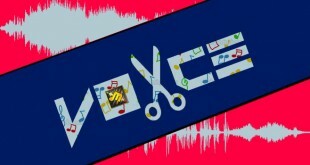 Have you ever listened to a song and wished that you could remove the vocals? 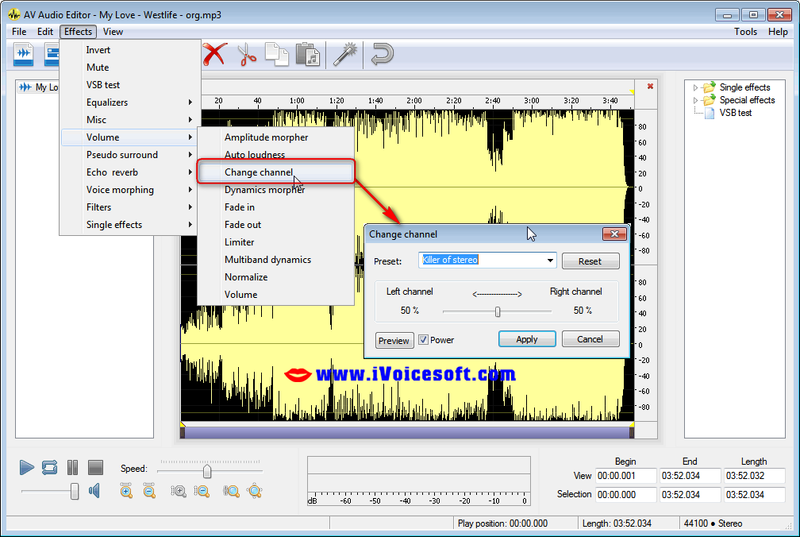 Have you wanted to make a Karaoke file without the singer voice from a favorite song? 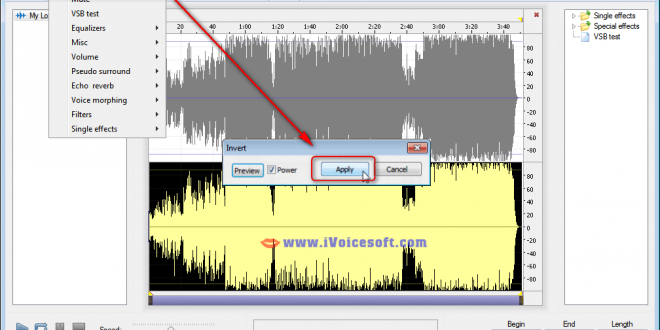 The art of removing the human voice from music tracks is very difficult to do – but it can be done with a software. 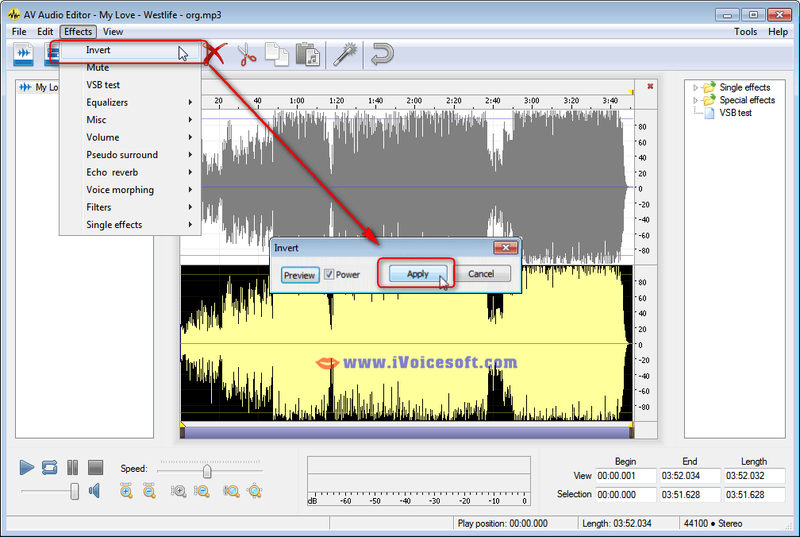 Open AV Audio Editor, then click Open to load your song file need to remove vocal. 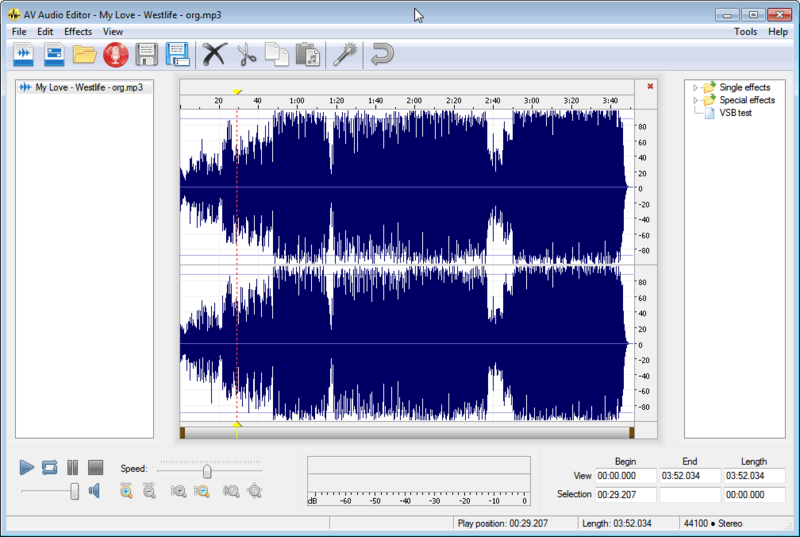 After AV Audio Editor has loaded the song, you see its wave form. Wave form include Left channel (above) and Right channel (below). Go to menu, chose Effects -> Invert. Click Apply in Invert window. 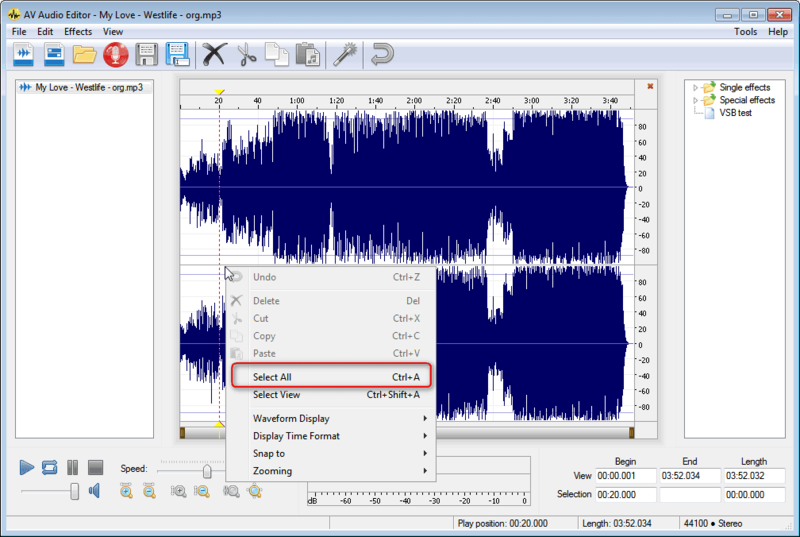 Right click on wave form, Click “Select All” to select All Left Channel and Right Channel. Go to menu, Chose Effect -> Volume -> Change channel. 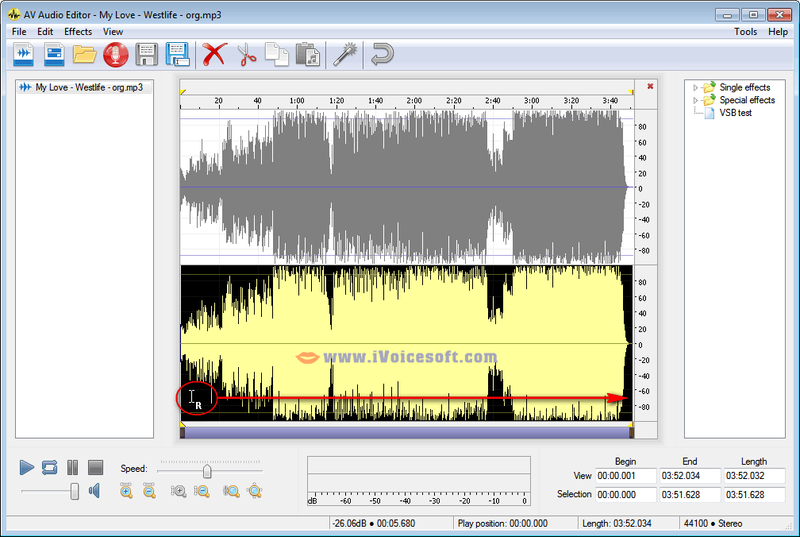 Click Preview to see how vocal is removed from song.